This week, AN is at Cevisama ceramic tile fair in Valencia, Spain. 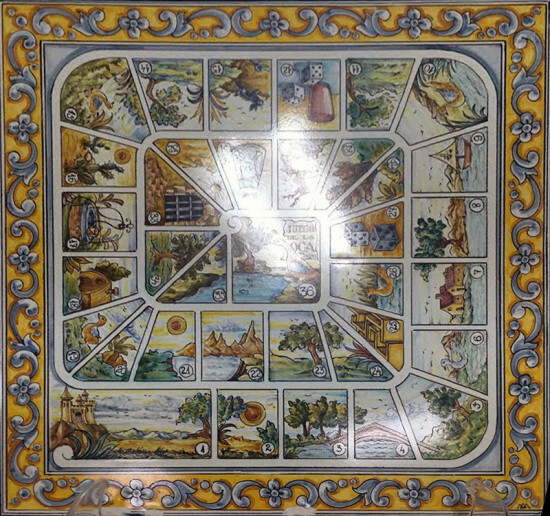 In day one we visited San Gines, a small tile factory in the village of Talavera de la Reina near Toledo. 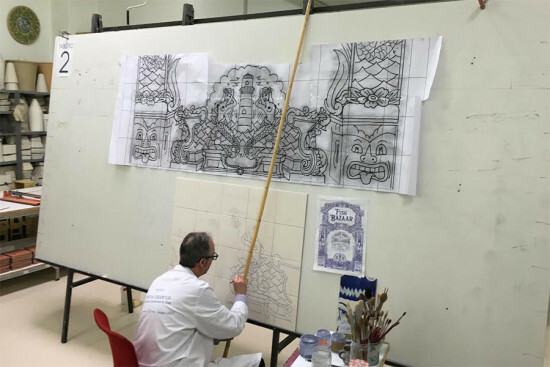 A studio that still produces tiles painted and fired by hand, San Gines is currently producing and exquisite tile mural for a new Philippe Starck–designed restaurant on Brickell Avenue in Miami. 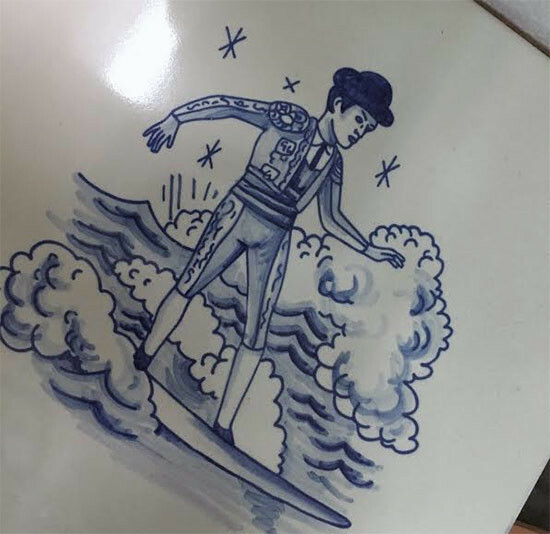 The mosaic riffs on tattoos and graffiti to update the factory’s antique handmade tradition and produce a unique and spirited interior. The restaurant will open this summer in Miami.